Please join us for this structured networking program over lunch! 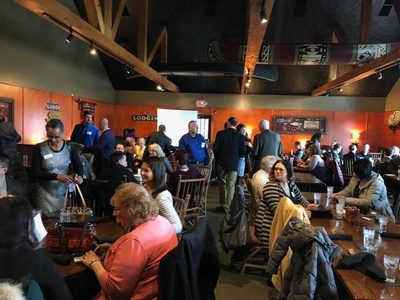 You'll meet chamber members from all over Waukesha County to further your reach and grow your networks. 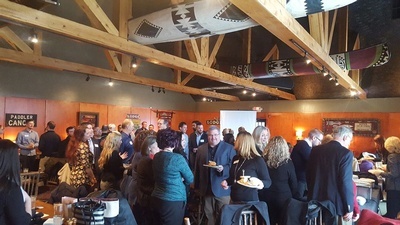 Every member business in attendance has an opportunity to share a 30 second pitch on their product/service followed by a sharing of success stories. 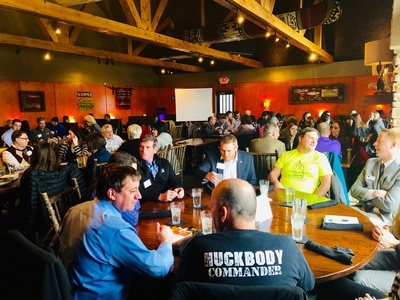 This program is presented in conjunction with Brookfield, Delafield, Hartland, New Berlin, Oconomowoc, Sussex and Pewaukee Chambers of Commerce. 2019 Dates: Jan. 22, Feb 5 & 19, March 5 & 19, April 2 & 16, May 14 & 28, June 11 & 25, July 7 & 23, August 6 & 20, September 3 & 17, October 1 & 15, November 12 & 26, December 10. No refunds with less than two days notice of cancellation. Program fee includes the meal and applies whether or not you eat the fabulous lunch!